One of a kind, Traditional in the outside, Ultra modern inside, European Oak floor Beautifully landscaped large corner lot in a cul de sac. Kitchen boasts SS appliances, high end 5 burner smooth cook top, Security system w/cameras outside you monitor via the internet. Shed in the backyard, Community Pool and Park. 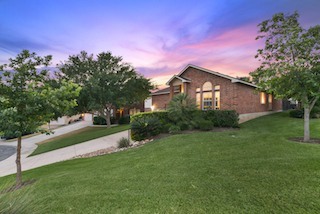 View other homes in San Antonio, Texas with 3 Bedrooms and 2 Bathrooms under $300,000.